Pop. Culture Assoc. Nat’l Conf.- Washington, D.C. The Popular Culture Association will hold the PCA National Conference in Washington, D.C. from Apr. 17 -20, 2019. CFP deadline is Oct. 1, 2018. 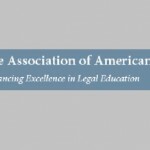 CFP: Law and Popular Culture – Washington, D.C.